Marathon’s Travel Atomic Alarm Clock automatically sets time, day and date. 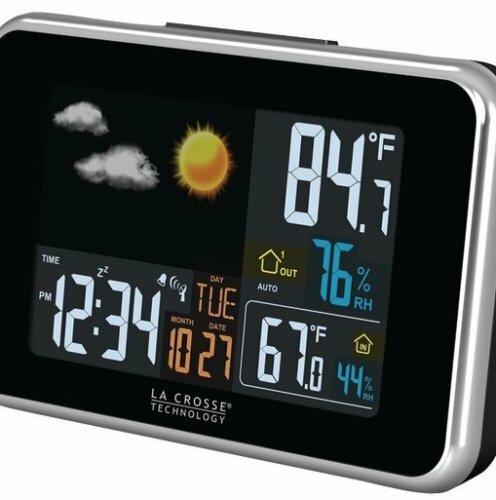 Displays indoor temperature, day and date. Includes 4 time zones (pacific, mountain, central and eastern) and 5 languages (English, Italian, Spanish, French and German) and a travel pouch. This travel alarm can be folded or unfolded for easy traveling and to save space. 2x AAA batteries included.